Nearly everyone is using the WhatsApp now a day. WhatsApp is now the largest chat and the messaging application in the world with a lot of users. It has left BlackBerry Message, Hike, Facebook messenger, and son on a far behind. So the Facebook has to buy the WhatsApp in 19 billion dollars. Even for some small reasons also they are using the WhatsApp application. In fact, from a result analysis, it has been proved that you can keep your 3-4 hours of time per day by not using the WhatsApp, Facebook, Instagram and other applications. Among these applications, people are almost spending their 60-70 percent time on just in WhatsApp to chat with others. So people are using WhatsApp for small and big things. Now WhatsApp is testing a number of new specifications for the future updates to its messaging application. The latest beta update for the app which is owned by Facebook brings a new feature that promises to track every movement of yours. Now it also brings a special feature which is explained below. 2 Deleting a sent WhatsApp picture or video? 4 How to delete the message? 5 How to Revoke Whatsapp latest update? Just by long-click on the message that you have mistakenly sent to the receiver through the WhatsApp application. Tap on the Delete option in the window that will pop up. Summon into the mind that this procedure only workout if the message hasn’t been marked as sent i.e. double gray ticks on the sent message. If sometimes you are accidentally sent a picture or a video to the incorrect person and want to delete it before they will receive and for this message you must take the fast action because it is more sensitive than the normal text message. And here some points are given to deleting option in WhatsApp. Deleting a sent WhatsApp picture or video? Immediately just turn off the mobile data and the Wi-Fi. One of the fastest ways to block any internet connection is by enabling the airplane mode in the mobile, which can be reached easily from the notification bar on both on iPhone and the Android or any other devices that have shown in the notification bar. Later on disabling the internet connection of your mobile phone, you should see a red color exclamation point next to the sent message if you did it on time. This indicates that the message was blocked and not delivered to the second person. The following step is to click on the picture to bring up the pull-down menu and click on the Delete option. Just one more click on the Delete and the file will be permanently deleted from the WhatsApp application, without anyone reading it. Remember that the key is the speed. Therefore, it is always good to keep in mind that the fastest way to turn off the mobile network connection is with the airplane mode. 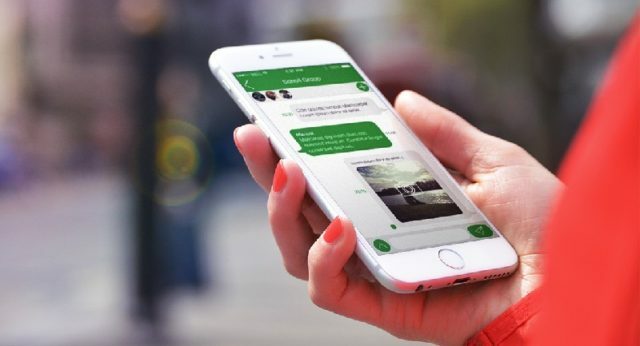 The method also works without closing the WhatsApp application, as it is sufficient to disconnect the phone from the Internet connection. To disconnect the mobile data or just enable the airplane mode is only used for the pictures and images that are wrongly sent to the person but for the text, it is impossible because it does not take much time to deliver to the recipient. so for them, the WhatsApp are going to launch a special feature. According to the latest update now you can delete or modify the message that you are sent to the others. This is the new feature which is successfully tested in the beta version of WhatsApp and this will arrive soon for all the smartphone users. This new feature helps to edit or delete the message that you sent by mistake. Most of the times by mistake we the incorrect message or sometimes we send the correct message to the wrong person. Sometimes it ok to send the wrong message to the right person and right message to the wrong person because humans we made mistake, but now you can correct the message in WhatsApp but not in the life. This feature will help to edit or delete the message after and before the receiver reads. How to delete the message? As early we know that the people are using the WhatsApp for nearly everything for nowadays. So therefore sometimes in the excitement, they send a message to an incorrect person in your contact. Even sometimes they send a message to the right person only, but with a wrong message. This will happen to all including me. And after that, they reform it. And they wish that if they can remove that message because such situation can give a lot of troubles and embarrassment for the person who using this. So here we are for you to find the solution for this problem of everyone. Many of us have faced this problem for some time now WhatsApp has tried to solving the issue for you. How to Revoke Whatsapp latest update? WhatsApp application is going to launch some new and interesting specification in the year 2017. By the end of this year, we will some interesting features on WhatsApp like we never before. Like you can archive the ZIP files or RAR files in the application. Some of the users always wanted to remove some sent text or videos, they have sent to an unwanted person. People are requesting for this specification since WhatsApp came into reality or you can say in the marketplace. But WhatsApp was not granted the permission to it. According to some leaks and news in twitter that, now the WhatsApp will allow you revoke the sent messages. Therefore the application presently tests it on the iPhone beta software. By this special feature now you can even modify it and resend it again to the receiver similarly it’s like we do on a post or comment on the Facebook application. But this is only applicable to the user whom you sent the message has not seen by them. So this is one of the great news for all the WhatsApp users as many times they send an incorrect message that they did not want to again. But this is just a rumor, so it is not sure that the WhatsApp will surely admit it or not to the specification. Now according to trusted source i.e. source that provides always correct information and it says that the WhatsApp will admit now to revoke the sent message. This feature will live soon on IOS beta version and android beta version. Many questions are rising among the people like how it works, this will help to delete or edit the message, and this will recall the sent message or not. For these, all question will be answered when it arrive in the beta stage. We have to wait for the special features. Previous articleHow to Conduct a Management Buyout without Difficulties?